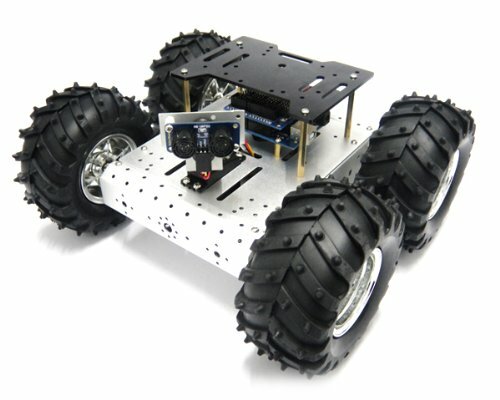 The latest 4WD aluminum mobile robot platform is producted by ALSRobot.This mobile robot platform can holds many controllers, drivers, sensors and RFmodules etc, support plate with controller mounting holes, 2 dof pan and tilt holddown groove, collision switch mounting hole, an be added with sensors.light weight, high strength and no deformation characteristics. 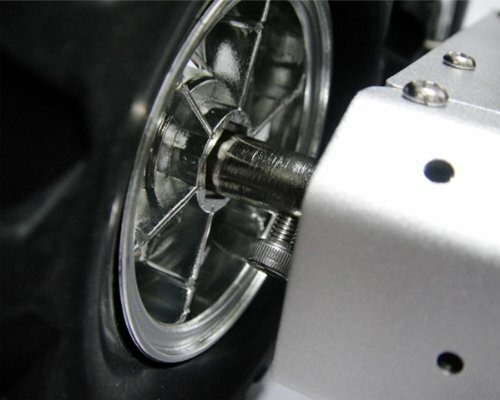 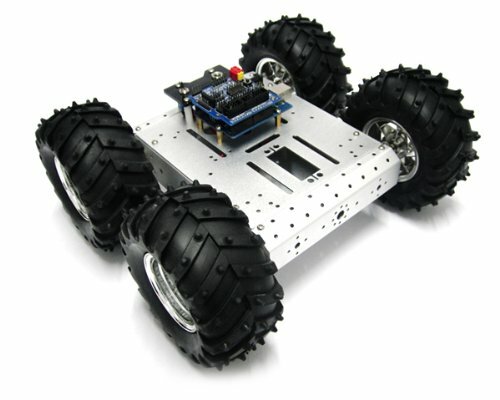 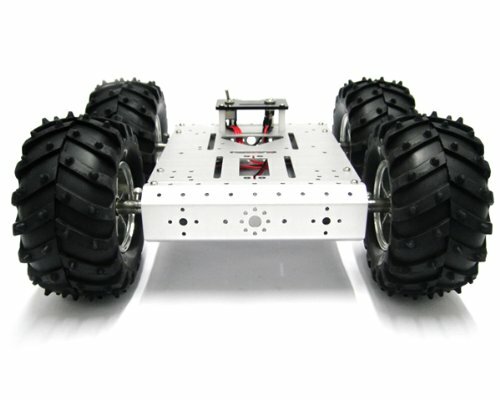 4WD aluminum mobile robot platform is a (high-performance) four-wheel drive car which has the advantages of damps vibration, abrasion resistant, strong grip. 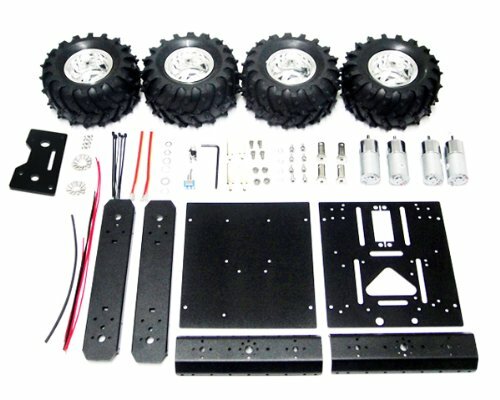 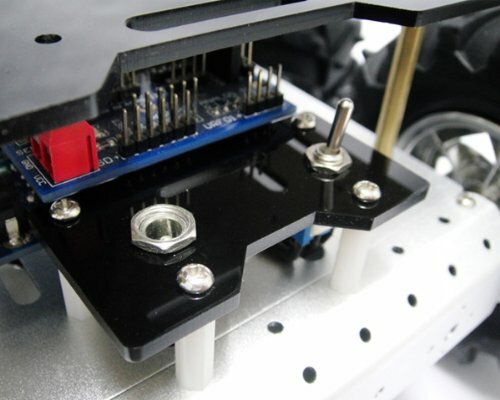 Its unique shape design and color collocation is the ideal platform of design prototype robot and experience the fun of DIY. 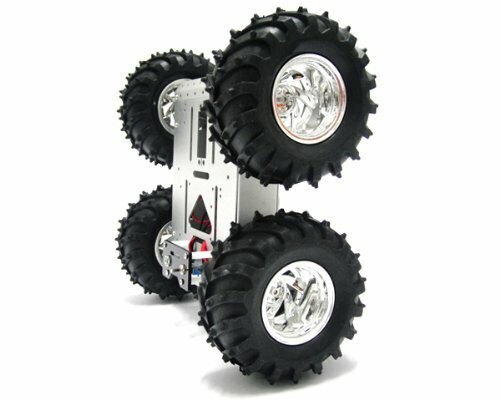 Black gold and silver 3 colors you can choose. 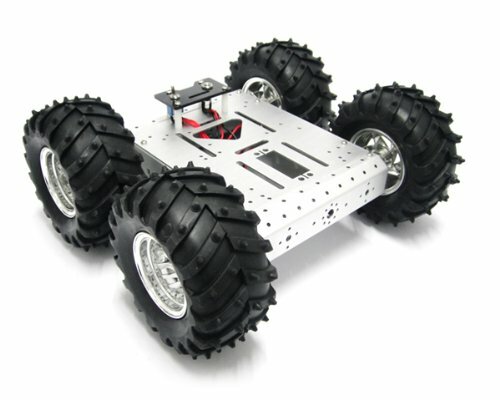 Note：This 4WD aluminum mobile car chassis have 2 colors, (Silver and Black) you can choose one you favor,and the mobile car doesn't contain the electric control parts,if you need,pls send us a message.